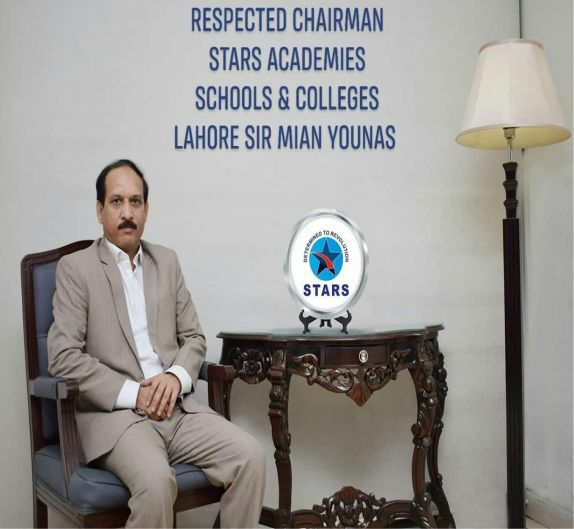 Stars Colleges and Academies is a very renowned institution in Pakistan. It is now affiliates with Board of Intermediate & secondary Education. It provides opportunities to its students to come and grow as professionals. Stars, an organization with a diversified portfolio, has emerged as a name of trust and excellence in academic circles at large, and among students in particular. It provides a complete career path to students, right from Pre-School to professional education. With the vision of 'Nation Development through Quality Education', it has expanded its sphere of services to 24 major cities of Pakistan. Evening Coaching Classes, Entry Test Preparation, Competitive Exam Preparation, Foreign Test Preparation, School of Languages, and Publications. Stars is playing a pivotal role in the progress of quality education in the country through its Schools, Colleges and University.